Chartplotters: which is best for my boat? 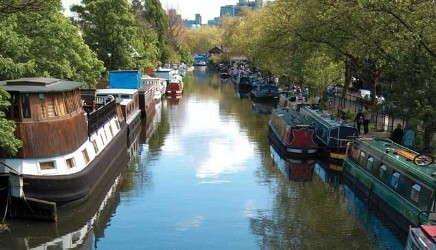 Different types of boating prioritise different types of information at sea. So which chartplotter or multifunction display is best? Rob Melotti reports. The chartplotter / multifunction display (MFD) market is now vast with everything from 5-inch to 24-inch screens – some almost standalone units and others that rely on an entire ecosystem of connected electronic sensors and processors. 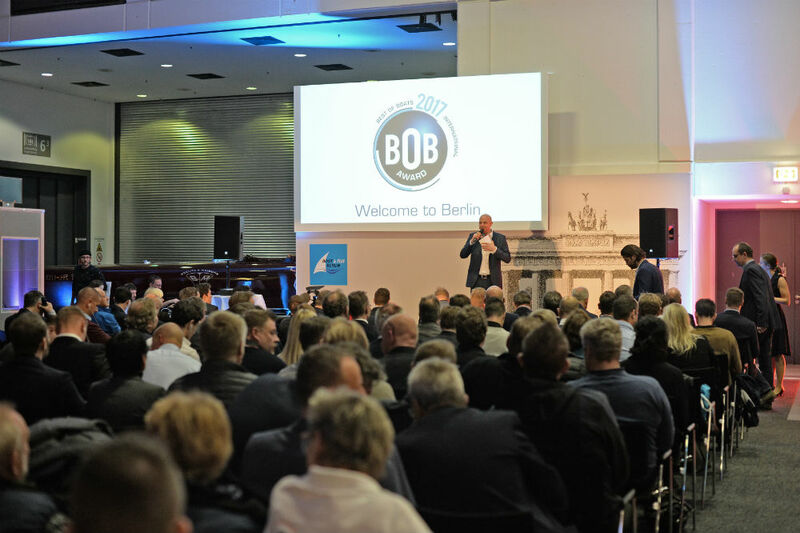 But with a bit of careful analysis, it is possible to decide which multifunction display is best suited for each of the following different types of boating: coastal power cruising, coastal sail cruising and racing; offshore cruising and sport fishing. And if you're thinking of installing a new system yourself, take a moment to read Lenny Rudow's lighthearted list: Marine electronics: the 10 commandments. 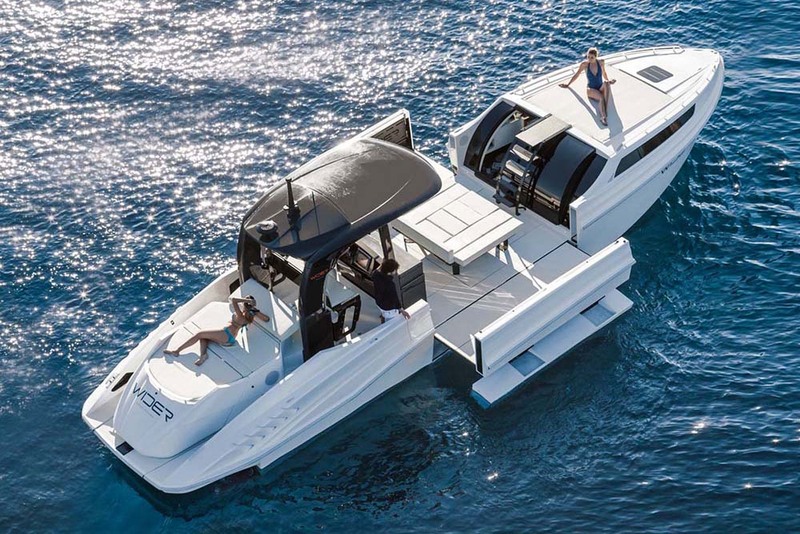 With such a wide variety of systems on offer and so much technological development going on, it's important to understand what's important for your type of boating. Which chartplotter is best for power cruising? Coastal navigation is within the capabilities of any chartplotter on the market, so the considerations for this type of boating apply to all potential chartplotter buyers. The bigger the screen and the brighter the display (adjustable for night-time of course), the more useful the device. If the screen is so small that you can barely see the chart, you might as well just save your money and use a straightforward GPS unit and a chart. But bear in mind, extra performance eats power (and also creates heat). A 7in screen with buttons around the side is a larger device overall than a 7in touchscreen device – so if mounting space is limited, touchscreen gives you more screen space overall. However, not everyone likes using touchscreens – they can be difficult to operate when wet from rain or salt spray – so specifying your preference is important. Alternatively, investigate the units on offer that combine touchscreen and button controls, as these give the convenience of touchscreen most of the time, while still allowing for effective operation in really wet conditions. 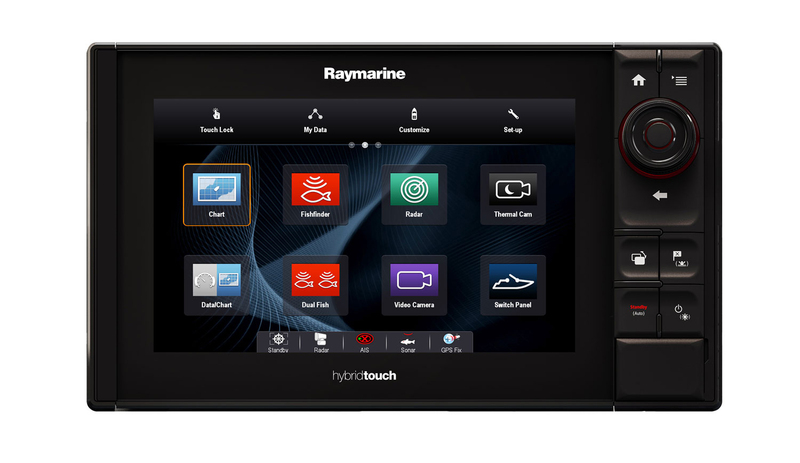 The Raymarine eS series, like many top-of-the-range offerings, mixes touchscreen and button control. Navigation software will be pre-installed on the display and must be kept updated. Charts may also be supplied but it’s worth deciding on this yourself. Some units tie you to a single chart provider, while others proudly permit multiple chart suppliers. The ability to switch between raster and vector charts can be very useful in far-flung parts of the world. Unless a unit is marketed as a handheld chartplotter, it will be able to connect with and interpret NMEA inputs such as depth, wind speed, wind direction and boat speed through the water. These basics inputs – along with many others – can be networked using the older NMEA0183 protocol. However, for power cruisers, dozens of other possible data sources including battery levels, fuel and water tank levels, engine hours, oil level, oil temperature, rudder angle and more, the newer NMEA2000 is required. In general, though, unless you are looking for a very basic solution with the lowest possible hardware cost, the almost “plug and play” concept of NMEA2000 reduces installation time, facilitates troubleshooting and simplifies adding additional equipment at a later date. Each of the above inputs need sensors installed elsewhere in the boat and connected to the display either wirelessly or with cables. Prices and capabilities vary – the Garmin Gwind costs 10 times the Gamin GWS wind sensor – but the basic functions are fairly generic and cost well under £100. Radar, AIS, VHF, autopilots and advanced sonar on the other hand, all need additional equipment to operate, whether a radome, antenna or gyrocompass for the pilot. There may also be a need in some systems to install a processor in between the sensor and the screen. 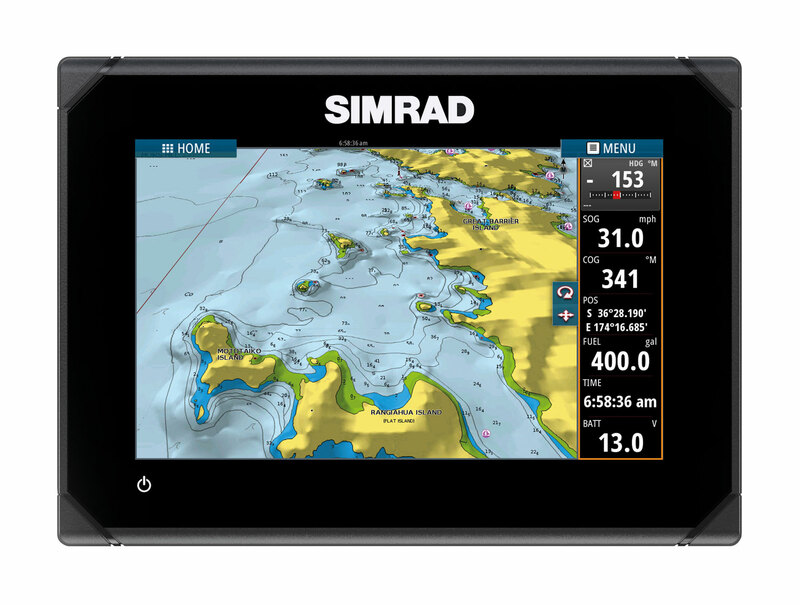 The Simrad Go range offers easy-to-use "plug and play" capabilities. The NSO and NSS series from Simrad are higher spec but more difficult to install and maintain. VHF and AIS work hand-in-hand requiring a small aerial to transmit and receive, as well as a splitter to allow the two units to share a single antenna (see: What is AIS and is it worth fitting?). Standalone AIS displays were once common, but the data is now frequently overlaid on the chartplotter screen instead. Chartplotters without AIS built in will need an AIS processor in between the aerial and the plotter. Most boats will incorporate a separate fixed VHF radio unit with fist mic. Radar sensors, or domes, again were once commonly fed to standalone screens. Now overlays and split screen representations are more common. Heading sensors are needed for some advanced radar features. Autopilot controls on the chartplotter screen hide a huge array of possible extra installations below decks, but with the advent of auto-routing, a fully connected system will enable you to simply point to a spot on the screen and the plotter will create a route clear of charted hazards and then steer the boat all the way there! For more insight into what goes on below decks, see: How autopilots work. But even more powerful is the ability to interact with online services offering live weather data, navigation warnings and other water users in real time from the plotter screen (or its mobile device extension). 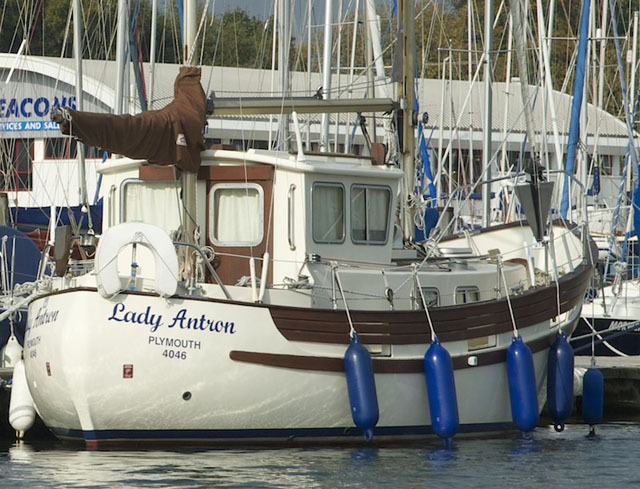 Owning a Furuno TZtouch2 for example, now links you in with the online community surrounding the ActiveCaptain website providing anything from fuel prices locally to marina availability and urgent marine navigation updates. 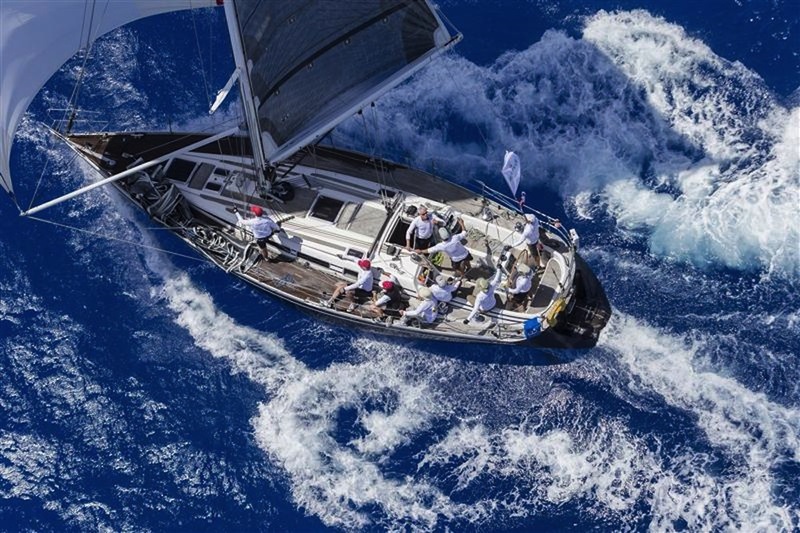 Garmin’s Quatix watch features a plethora of sailing-specific navigation features, but it is also capable of remotely controlling a Garmin autopilot – an interesting safety consideration in the event of a man overboard, if cruising single-handed. And Navico’s GoFree system, which serves B&G, Simrad and Lowrance devices, has been spun off into a company all of its own. For the latest in network-enabled boating instrumentation, see: Digital Yacht launches iKommunicate gateway box. Which plotter is best for coastal sail cruising and racing? Almost all of the current ranges of plotters from B&G, Garmin, Simrad and Raymarine offer sailing specific software features including laylines, tacking angles, heading and course-over-ground lines and true wind data fields. 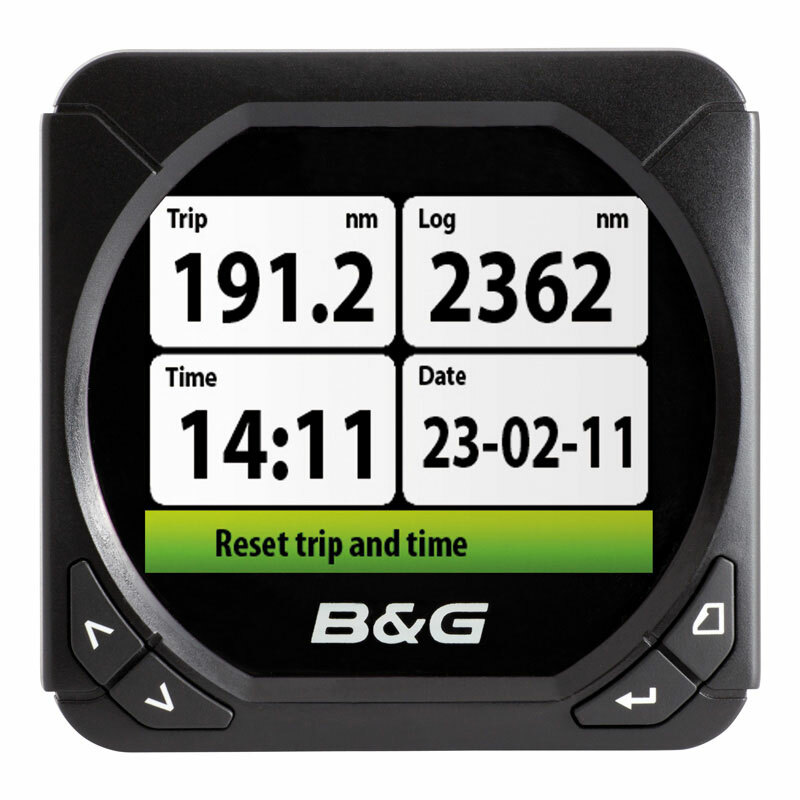 B&G’s powerful SailSteer and Sailing Time screens on the Zeus2 and cheaper Vulcan range take all of the guesswork out of VMG and upwind ETA calculations. 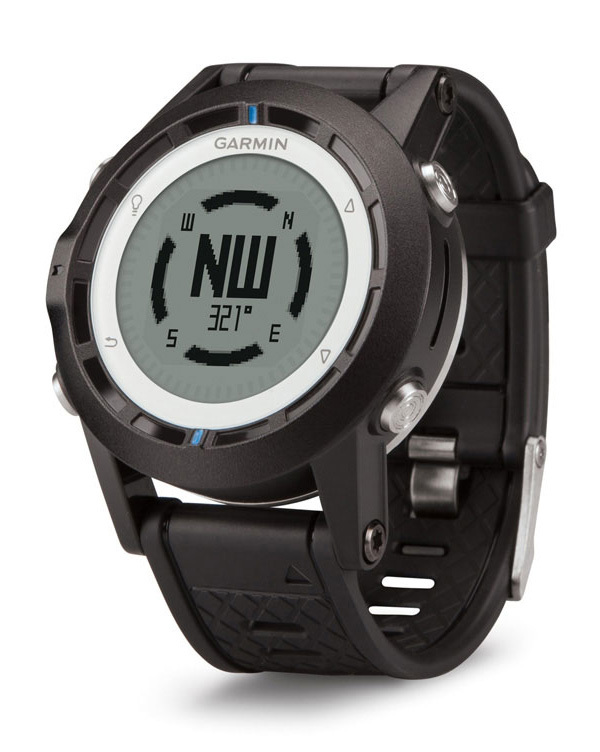 And Garmin offers racing technology in its high-end 7400 series and top-of-the-range 8000 series, with more generic features throughout the rest of its range. Which plotter is best for ocean cruising? Blue-water, long-distance cruisers are likely to find themselves in remote places with little Internet access and shore power; occasionally confronted with hostile conditions – heat and cold – heavy weather, and most importantly, plenty of other kit on board that may need maintenance at any given time. So professional installation, adjustable power draw and reliable, accessible connections are essential, as is the ability to update charts and software quickly and easily when internet access is available. But simplicity is perhaps the key attribute here. The option to include everything on a single screen may require multiple components to work together with multiple possible points of failure. However, keeping every instrument running on a separate screen is equally unhelpful. Back-up systems and redundancy is the way forward for long-distance cruising, prioritising GPS for navigation, depth for safety, and communications – VHF and AIS – above all else. Worldwide support and service should also be a consideration. Raymarine is perhaps the world’s biggest, best-supported product line, but Navico and Garmin are no minnows. 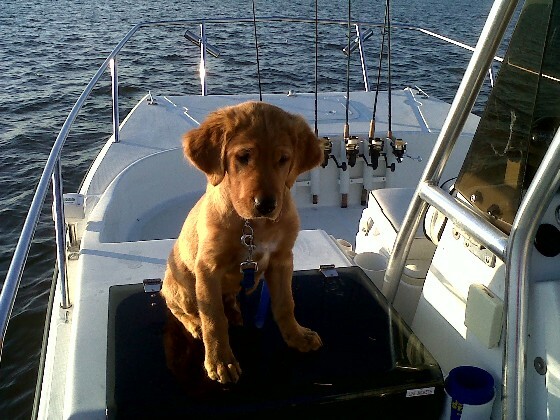 Which plotter is best for fishing? There is no shortage of options to cater specifically for the keen sport fisherman (or woman). Sonar is the key battleground (see Alex Smith’s guide to fishfinders), with the market leaders Garmin and Navico literally at war over accusations of patent infringements. So far Garmin has escaped unscathed, but the accusations keep coming. 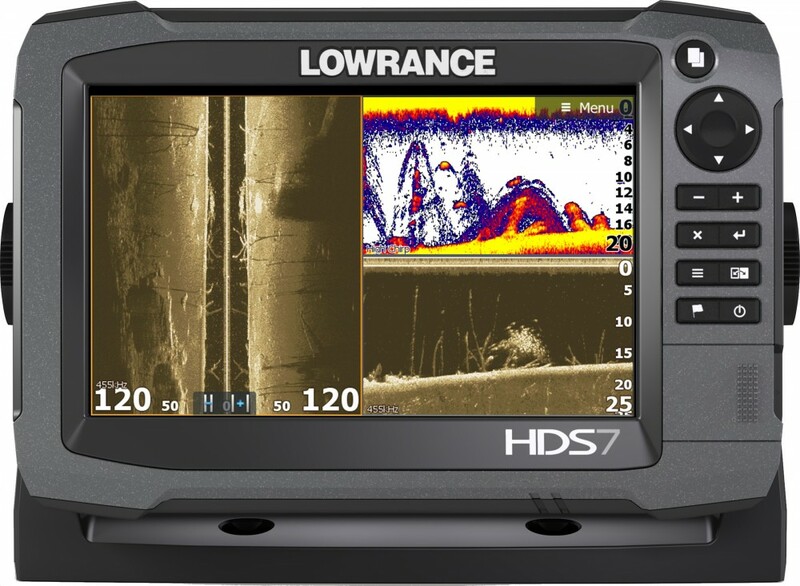 Top of the range Lowrance multifunction display HDS7. There is a huge amount of competition in the serious sport-fishing market. Another recent growth area is the ability to draw your own seabed maps with your equipment. 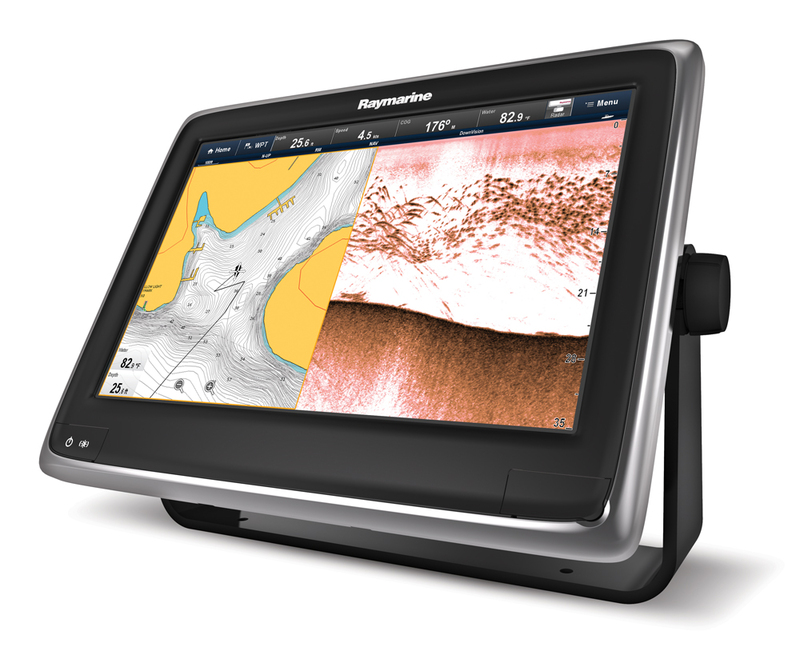 Garmin Quickdraw Contours software enables fishermen to map their favourite areas in detail. Navionics charts offer that facility as well. Autopilot capabilities are also becoming more and more common for smaller boats with the ability to recall successful trolling routes and program inboard and outboard engines to follow set patterns controlled by the plotter. And don’t forget auto-routing: simply tap on your destination and the MFD will work out a safe route there.